RHS Garden Wisley, a 240 acre garden run by the Royal Horticultural Society in Woking (Surrey), is hosting its annual Spring Craft & Design Fair later this month. 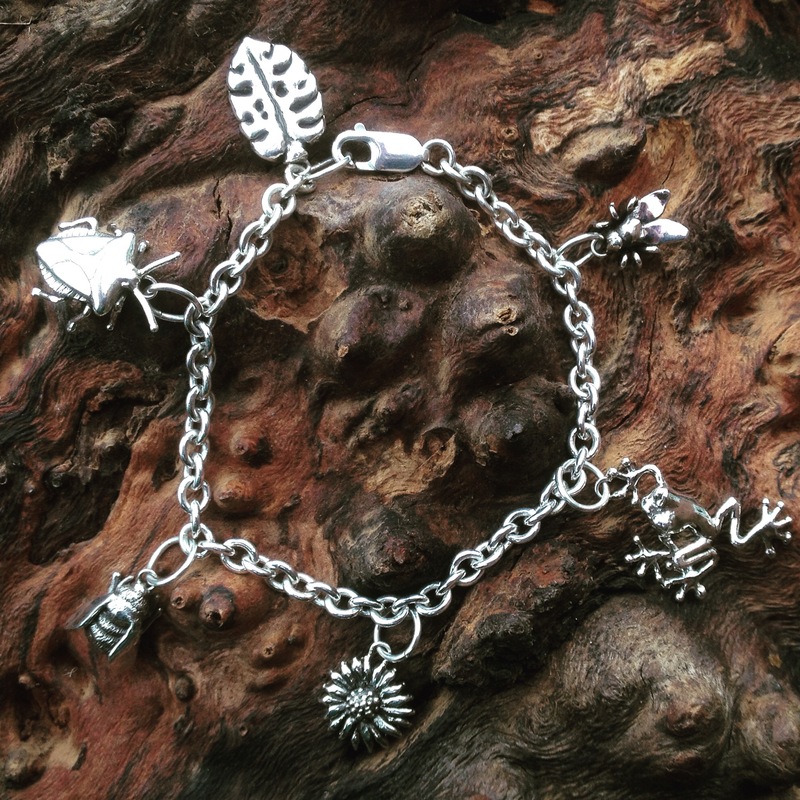 And for the first time it is welcoming some very special guests… my silver creepy crawlies and beautiful beasts. I shall be exhibiting my nature lovers jewellery from Thursday 26th April through to Monday 1st May 2017 in one of 3 marquees – alongside 190 other hand-picked and highly talented craftspeople. Access to the fair is free once you have paid admission to the garden. RHS Garden Wisley is one of 4 gardens run by the Royal Horticultural Society and is considered one of the great gardens of the world – hosting some of the largest plant collections anywhere in the globe. And as the flowers put on their stunning spring display, we craftspeople will be putting on our own display showcasing our varied creations and explaining why we do what we do, and how we achieve it. 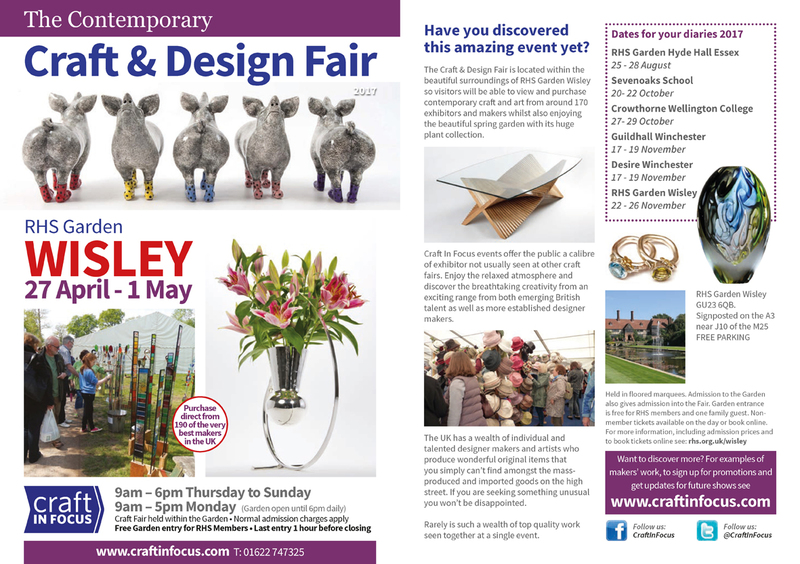 The Spring Craft & Design Fair at RHS Garden Wisley is the creme de la creme of the prestigious Craft in Focus fairs and I am honoured to have been selected as one of this spring’s exhibitors. Why Wisley for my silver creatures? In the 2 years since I have been making my silver animal jewellery, this contemporary craft fair at RHS Wisley has been enthusiastically recommended to me many times by customers and admirors of my creature creations. It is a time and place where garden enthusiasts, nature lovers and high quality arts and crafts meet – characteristics which, I feel, are synonymous with what I try to achieve with my jewellery… so I feel the pressure to put on a good show more acutely than for anything I have done before. If you are looking for a really memorable day out over the May Bank Holiday weekend, do consider coming to RHS Wisley. Immerse yourself in the beauty of these stunning gardens – and of course remember to pop into marquee C of the Spring Craft & Design Fair, where you will find some familiar faces.